Minimum quantity for "Calpis Water" is 6. The taste of Japan in the summer! Calpis is a non-carbonated soft drink made from milk and lactobacilli. 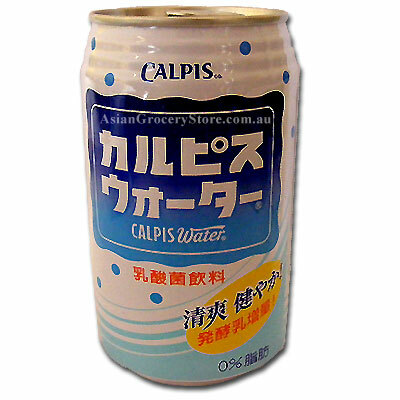 Calpis water has a sweet and tangy taste. Very refreshing served ice cold on a hot day. Water, High Fructose Corn Syrup, non-fat dry milk (Treated with a lactic acid culture), fructose, lactic acid, natural and artificial flavours, citric acid, soy fiber, sodium citrate.